Qualifying first in the stacked 34-kart field on Friday, Gangi Jr. would move on to the exciting Super Pole round, after pulling in early during the session to save his tires. 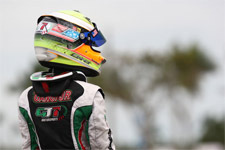 Nearly three tenths clear of the six kart Super Pole session, the GT7 Motorsports team strategy paid off, as Gangi Jr. would start all three heats on pole position. 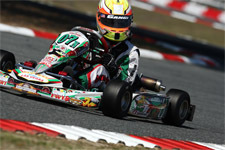 Back on track for wheel-to-wheel action on Saturday, the day would not start well for the two-time US Rotax National Champion. Spinning in the treacherous turn one during the first heat, Gangi Jr. used his speed to recover to a 14th place result, posting fast lap in the process. Heat two saw Gangi Jr. go flag-to-flag to take the win, with another fast lap honor. Battling for the lead during heat three, contact relegated the rising star down the running order. 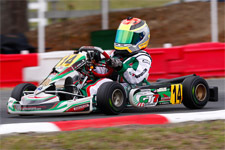 Making his way back to the lead pack, as the Tony Kart driver earned his third fastest lap, contact again would plague Gangi Jr. 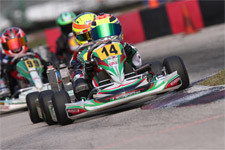 Eventually finishing tenth, points would put Gangi Jr. seventh on the grid for Sunday’s all-important prefinal race. Looking to make up some ground lost on Saturday, Gangi Jr. fared well in Sunday’s prefinal. 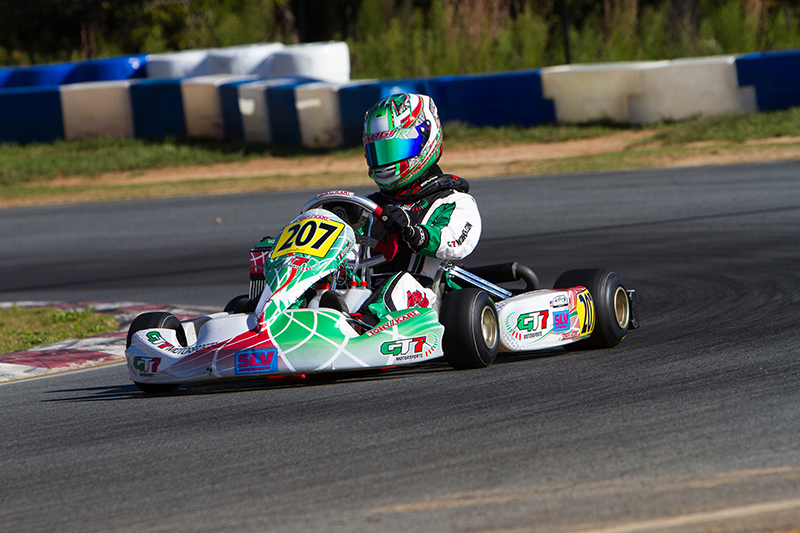 Again the fastest kart on the track, the GT7/Tony Kart pilot moved up to fourth. Starting on the tricky outside lane for the championship final, luck would come crashing down, as Gangi Jr. was again involved in the turn one melee. All the way down the running order, Gangi Jr. did not give up, as the young talent put his head down and completed every lap, eventually finishing 24th overall. Although the end result was not what he had hoped for in Mooresville, Gangi Jr. will put it aside and turn his attention to the final race on his 2014 calendar – the SuperKarts! 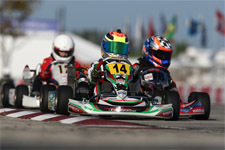 USA (SKUSA) SuperNationals. 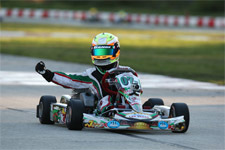 The annual event held at the Rio All-Suite Hotel and Casino in Las Vegas, Nevada will see Gangi Jr. vie for his second SuperNats title, this time in the potent TaG Junior category. Set for November 19-23, the young gun placed a respectable 16th in the class in 2013, he is certain to be a favorite heading into the 2014 edition of the famed event.